Antichrist characteristics, as defined in the Bible, show he is NOT reigning now in 2013. Please verify the following Scriptures regarding the antichrist characteristics, for your own good. 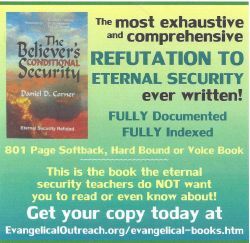 Evangelical brother Dan Corner is a Bible holiness preacher, teacher and soul winner. Most importantly he is a Christian and former Roman Catholic. 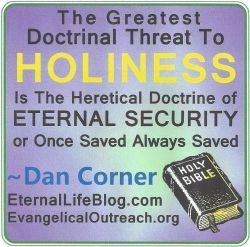 This entry was posted in Antichrist, Antichrist Characteristics and tagged 666, antichrist, antichrist characteristics, man of lawlessness, mark of the beast. Bookmark the permalink.